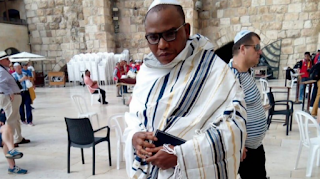 A federal high court in Abuja has ordered the arrest of Nnamdi Kanu, leader of the Indigenous People of Biafra (IPOB). At its sitting on Thursday, Binta Nyako, justice of the court, issued an arrest warrant against Kanu, citing the continued absence of the IPOB leader in court. The court also revoked the bail which it granted the IPOB leader in 2017, and directed the proceeding will still continue even in his absence.